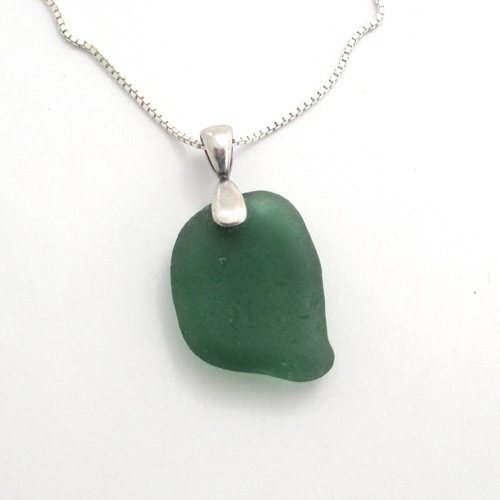 The perfect Christmas gift for the sea glass enthusiast in your life. This pretty 1 ” long sage green gem likely originated from the a decade old soda bottle. It’s been tumbling naturally along a remote Bahamian shore. 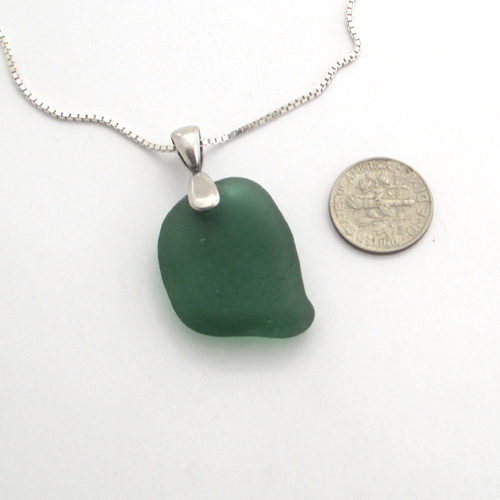 We’ve beach combed it ourselves, finely drilled it, then set it with a sterling silver bail. 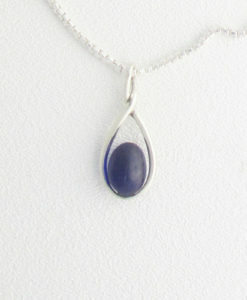 The necklace comes with a choice of a 16″, 18, or 20″” 1.25 mm sterling silver box chain.The pendant can be purchased without the chain for $35.